CNN is reporting that the largest famine since the creation of the United Nations in 1945 is sweeping across Africa - especially in Somalia, northeastern Nigeria, and South Sudan. This is a sign of the times if there ever was one. 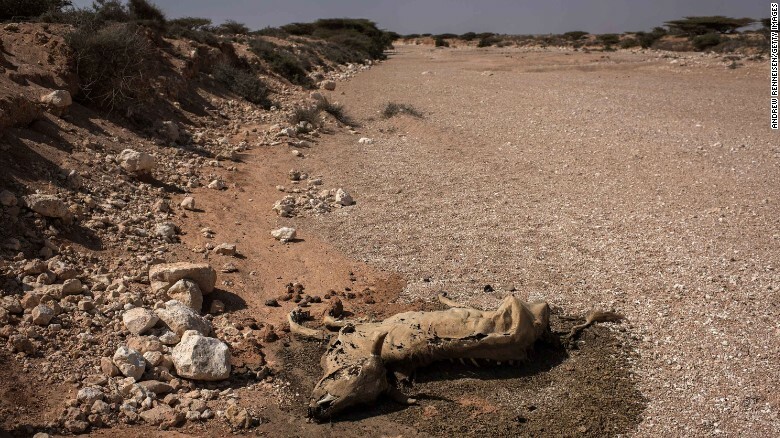 20 million people are in imminent danger of starvation and disease, including six million in Somalia alone. Half the population of Somalia now needs food aid to live. Just last week, the Somali Prime Minister announced that 110 more people had just died of starvation. There have been major earthquakes all around the world in the last few years causing record-setting death tolls, including major quakes in 2004, 2010, and 2011 leading to the deaths of 250 thousand, 160 thousand, building 18 thousand people, respectively. There has also been growing seismicity in areas generally thought to have been geologically stable like Oklahoma, Texas, New England, the Middle East, Europe, and elsewhere. A major earthquake in 2015 killed nine thousand in Nepal and caused the destruction of numerous Hindu temples. On top of that, of all the cities that could be shaken by an earthquake, Christchurch, New Zealand has been struck by big quakes three times just since 2011 - the Church is being shaken awake! The biggest famine in 70 years has just struck Africa! And on top of that, there have been numerous other large famines in Africa, especially since the early 1990s. Ebola, SARS, Bird Flu, Yellow Fever, malaria, "Superbugs", West Nile Virus, Zika, and on and on and on. Things that used to be locked deep in the Amazon and Central African rainforests are now loose and spreading through the general populations. There are currently 56 armed conflicts around the world. That is likely more simultaneous armed conflicts than at any time in history. When I last wrote about this topic in 2016, there were only 54. Uhhh... how about THIS GREAT SIGN in the sky?